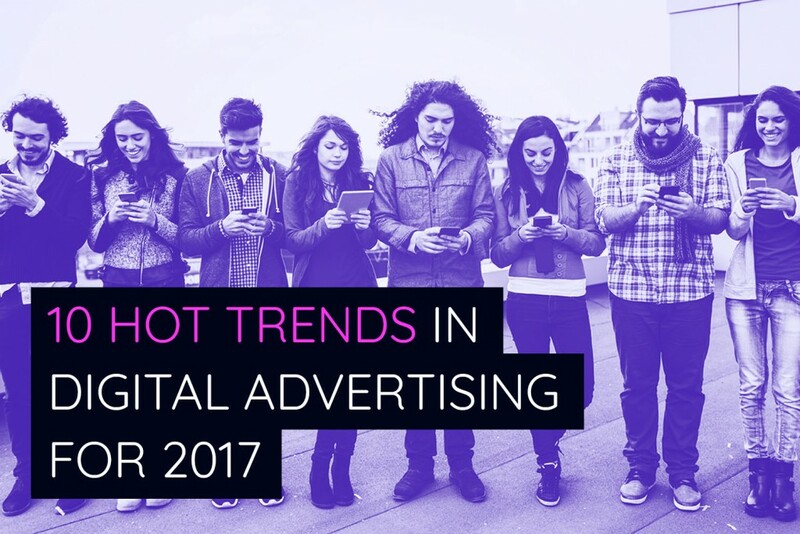 2017 is emerging as a fascinating year in the digital advertising industry, during which Facebook, Google and Snapchat are expected to go head to head in the struggle for the consumer’s heart and the advertiser’s pocket. So what is expected of us in the digital advertising market this year? Here are the top 10 trends outlined by Etai Eitany, VP of Operations at Brightcom. The year 2016 was repeatedly crowned as the year of mobile. Advertisers, whether they wanted to reach a young or adult target audience, realized they needed to increase their presence on the mobile platform. In 2017, mobile will not slow down and will reach new heights. According to market estimates, digital spending on mobile this year is expected for the first time to exceed the scope of expenses on the desktop. Chatbots – the virtual alternative to human communication, were among the most talked-about phenomena of the past year. Although this revolution provides quick and efficient solutions, it has also brought about unfavorable consequences. Since these “bots” can mimic surfers’ behavior, some use them to simulate viewing and clicking activity. Such fraud distorts the true image of network traffic. Publishers cannot rely on their data to act to improve the site, and advertisers pay for views that have not been made by people.Bots are applied to other scams, such as replicating content from real sites and collecting business intelligence, all of which seriously damage the ecosystem of the high-tech industry and cause millions of dollars of damage. But at the same time, the ad-tech industry is developing advanced methods and capabilities to deal with the phenomenon and minimize the vulnerability of the bots.In companies like Brightcom, most of the traffic (tens of millions of hits per day) is scanned to detect traffic anomalies and inappropriate content and remove it in real time. The market for software companies fighting the problem is growing at a dizzying pace, and in 2017, the use of such software has become the standard for everyone operating in the field. Facebook and Google now dominate 80 percent of the digital advertising market. The ad-tech industry actually makes up the remaining 20 percent (don’t worry, it’s still a multibillion-dollar-a-year market). Even though, to a large extent, there is no choice, market forces do not like a lack of competition, and they’ll do their best to try to adopt alternatives.Adoption of Header Bidding technology (which allows advertisers and media buyers to compete for media in an equal and transparent way) has been quick and heavily embraced by publishers. Google’s DoubleClick for Publishers (DFP) advertising system is also going to get a strong fight in other markets outside England and the US. A market to watch this year is the German market, where the big sites are expected to abandon DFP, and other major sites in France, Italy and Spain are also expected to follow suit and join this trend. Although the duopoly is “too big to fail”, alternatives are happily being adopted, as more and more large content sites will want to reduce their dependence on Google and Facebook. Another challenge for the duopoly comes from the company that wants to be the third biggest platform. Snapchat, which had an IPO in 2017, raises a huge interest. It announced the acquisition of ad-tech company Flite. And its vertical video advertising format (adapted to how mobile video is viewed) is becoming increasingly popular.Some argue that the dominant new player will be Amazon with its Amazon Advertising Platform (AAP) ALREADY SURGING IN THE DSP SPACE. For marketers, information is the basis for business and other decisions. We need quantitative information to tell us who buys what, when, why, and what is the most effective message for internet surfers. As a result of the surge of data, a tremendous amount of information was created.However, too large an amount makes it difficult to draw conclusions. Our brain is not built to process huge amounts of raw numerical data through millions of Excel rows. But in 2017, technology is finally catching up with the “interpretation” of information analysis in the form of visual tools in the market to illustrate the information, and a large increase in the use of information through visual tools is expected. “Native” advertisements (advertisements that are part of the content and thus less disruptive to internet surfers) will continue to grow and become more significant in the larger sites. Native advertising is one of the oldest trends on this list. Brands have used it for years in search of an easy way to achieve natural visibility. But native advertising swings upward: while consumers continue to denounce or oppose most conventional forms of advertising, native advertising has become an elusive, yet effective, way of getting their attention. More and more big brands or content sites that have previously refused to offer native advertising offer it today in a number of ways. Programmatic advertising refers to real-time advertising technology that allows websites and advertisers to participate in a “stock exchange” trading arena. After setting the parameters and goals, they can sell and buy advertising space in hundreds of sites to reach a target audience, with thousands of changes and adjustments made every second.There is no doubt that 2017 will be the year when anyone who is not yet on the programmatic train will finally get on board, which will lead to the growth of technology providers in the field. Accordingly, marketers will continue to move in the direction of programmatic because this is a more measurable and accurate domain in terms of reaching a specific viewer. Programmatic TV will continue to be complex and complicated due to the multitude of connected TV platforms, but the technology of the high-tech world and the audience of the television world will have to come together, and projects in the field are gaining momentum. Along with the talk about the big brands that give up advertising agencies and instead hire experts who run in-house digital media campaigns, it seems as though agencies do not seem to be disappearing but are continuing to thrive. The recently launched WPP platform is a good example. By combining information assets, insights and analysis, WPP makes their agencies even more responsive to customers. The rationale? It’s hard for a client to leave when he is deep inside an agency. The Asia-Pacific market is expected to surpass the North American market for the first time this year, and to be the largest in digital spending on advertising with close to $60 billion of estimated expenditure in 2017.